OSRS PVP CLAN CUP 45m in Prizes!!! Welcome to the first OSRS PVP Championship! I've had this idea for a while and I've been thinking about ways to implement it across all timezones and I've come up with the idea of a tournament roster to be held over the month in January. - At the current time there is 45m in Prizes to be won. With more donations coming in! - People register entry, after registration closes I will create a knockout tournament roster with a random generator. 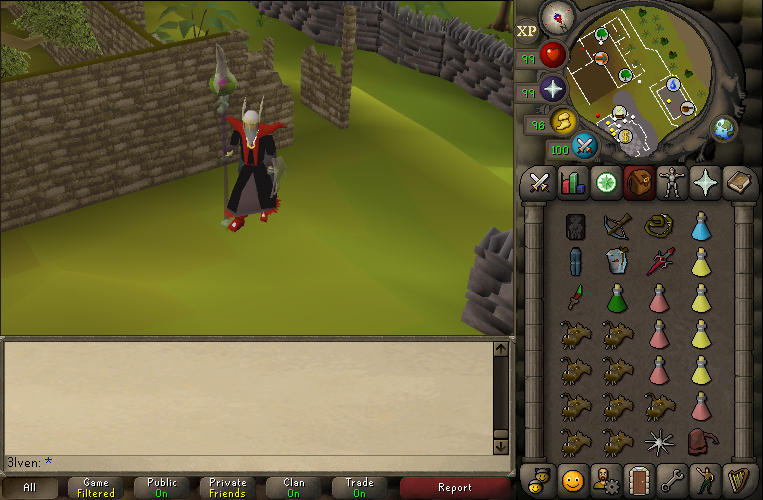 - You will have 7 days to fight your opponent in the duel arena with either another CC member as a witness or screenshots of the fight summary. If there are issues with timezones this can be resolved by changing opponents. - This is a knockout format, with losers being eliminated and winners moving onto the next round to fight each other. - If everybody completes their fight earlier, we can begin the next round. - After 7 days the second round will begin with new match-ups and you will have another 7 days to fight. - It will continue until we have 2 finalists in each division. - The final will be held as a single event if possible (depending on timezones) with both Divisions as a PVP spectacular with random prizes and a fashionscape event. - The PVP will be open Duel Arena rules, so you are allowed to eat, pray (overheads included), drink potions and use whatever combat style you please. This is also known as No Honour Bridding. - Each fight will be a Best of 3 to ensure that the best PVPer goes on. - The allowed items will be posted soon, please let me know in the thread about your ideas. At the moment there is a gear limit to prevent people camping maxed gear, see below for details. - If you do not complete your fight by the allotted time and have not organised another, you will be automatically knocked out. I couldn't get the below image to format properly, what is missing is the final round and another round to determine 3rd place between the losers of the semi finals. Sup Hercules moves into 2nd round as Alerio resigns from no playtime. Remember, those competing in the <110 CMB bracket must organise their own fights and score using the method provided below. You must post to this thread to keep track of your score so that I can verify it and keep the post updated. Because there is not enough people to have a Low - Mid and Maxed combat bracket I have decided to split the competition into two groups. They will fall into Under 110 combat and Above 110 combat. - The Above 110 combat will be the main group with a major prize as it will consist of the most people. - This event will span over 4-5 rounds across January in order to give every 5-7 days to get their fights completed for the round. -If you cannot participate in a fight you will be eliminated and your opponent will move forward. - This will be a single loss knockout format, so once you have lost your round, that will be it for you in the tournament. - There will be prizes for everyone who reaches the final rounds. - Because there is only a handful of people that entered in this combat bracket, there is not enough to have a full tournament of their own. - This combat bracket will have a micro tournament with a smaller prize pool than the higher combat bracket. - This bracket will not follow a knockout system as there are not enough people, so there will be a points based system in place. - The point system will be as followed. Every person in the below 110 combat bracket will have a duel at one point or another during the month of January with every other player in the bracket, it will be up to you to organise when you do this. - The duels will be best of 3, you will receive 1 point for each duel that you win, with a maximum of 3 points to be won against 1 person. For Example: In a duel with Red and Blue , if Blue wins 2 of the 3 duels against Red, Blue would receive 2 points and Blue would receive 1. - The two players with the highest amount of points after everyone has fought will be the two finalists for our PVP Final. - You will need to have a screenshot verification or ranked witness from the CC to verify who won the duel. - Each duel will be a best of 3 scenario to make sure that there are no random RNG wins. - The fights will be using all 3 combat styles with overhead prayers allowed - please familiarise yourself with NH Bridding tactics. The Signups will close on the 3rd of January AEST (Aus Time) they have been open for over a month, so everyone should have signed up already. - I will post the tournament line-up on the 3rd when sign-ups have closed. - If you have any gear suggestions or restrictions, please let me know ASAP. To keep things fair and interesting, you may choose your gear from the list below. There is also a secondary list for +1 gear. You will be allowed one piece of plus one gear, whether it's an armour piece or hard hitting weapon. The armour and weapons chosen are to simulate wilderness 1v1 gear and to avoid having lengthy fights that are swayed by overpowered gear, if you would like to see any item added or removed, let me know. You may change your armour/weapon in every fight, so if you think of a better combination, feel free to change. I have purposefully avoided some weapons and armour because of their price and power such as Armadyl armour and Dragon Claws in order to keep the fights fair. Rune Crossbow all bolts except dragonfire. Dragon Crossbow and any bolt except Dragonfire bolts. You may use any spell and any spellbook, it is recommended that you use Ancients for Ice Barrage or Lunars for Vengeance. To avoid 30 minute brew sipping fights you may only use the following number of potions. The rest of your inventory may be made up of whatever restorative consumables you like, I would recommend Anglerfish, Manta Rays and Karambwans. If you have any issues regarding the gear setups let me know. 3lven has made up some recommended setups to make gearing a bit faster if you were struggling to decide on what to use. ONE of the pre selected plus ones is allowed per fight. 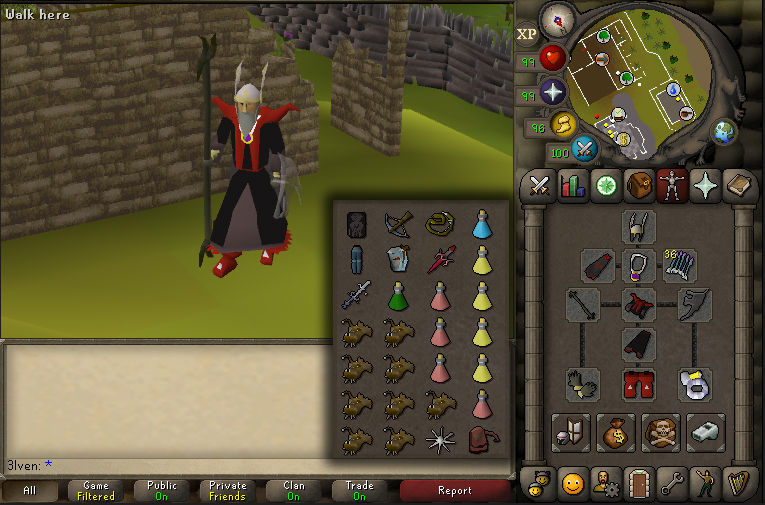 Perhaps you want to go for something more constant and DPS based, here is an example setup with the ahrim staff being replaced with a toxic staff of the dead as their plus one. Re: OSRS PVP CLAN CUP 45m in Prizes!!! Thanks to a massive 10m donation from Sunkists there will now be Runner up prizes for 2nd and 3rd places in the divisions! If there is not enough interest for lower combat divisions, the prize money will go to a large pot for the open section. Be sure to sign up guys! Ladybird3....nickname 'cannonfodder' level 108cb and a total wuss, may as well fight with a bunch of flowers..........take me on guys ...lol....I'll be there for fancy dress, its the only way i'll get to appear at the end. Reason for signing up...............Lok made me , and I'm 'it'. cannonfodder "ladybird said she was but thats lies >.>"
We could always do this on the tournament World, so stats and items can be standardised. I've been on holiday for a week, if anyone has a suggestion for a gear loadout please post it here as a screenshot or a list. Sign me up. Better get practising.